United States of America has been bestowed with beautiful and diverse landscapes. Our magnificent national parks are our natural treasures. Based on the statistic report from National Park Service, we have the list of the top 10 most visited national parks in the United States. Come out to nature and enjoy the natural wonders our beautiful country has to offer! Share with us your experiences if you have been to one of these national parks before. 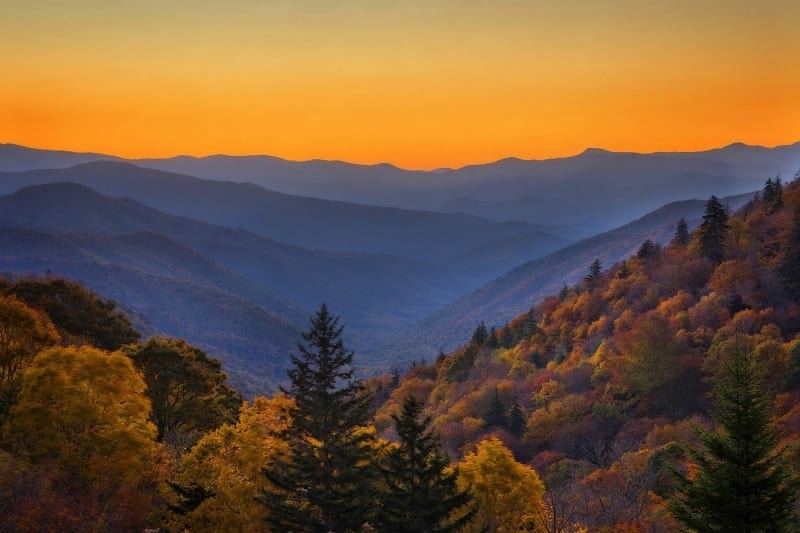 Great Smoky Mountains National Park with its forest stretches from North Carolina to Tennessee is the most biodiverse park in the National Park system. It was known in the world for its diversity of plants and wildlife, fungi and other organisms, ridge upon ridge of beautiful ancient mountains, its remnants of one of the oldest mountain systems on Earth, the Southern Appalachian Mountains which dated back 250 million years ago. Every year over 200,000 visitors hike well-worn trails to view Grotto, Laurel, Abrams, Rainbow, and other popular waterfalls in the park. The park offers more than 100 waterfalls and cascades along a 2,000-mile stretch and 800 miles of hiking trails. According to the NPS data, there were 11,312,786 visitors to the Great Smoky Mountains in 2016, more than twice as many visitors as Grand Canyon National Park, the second most visited.